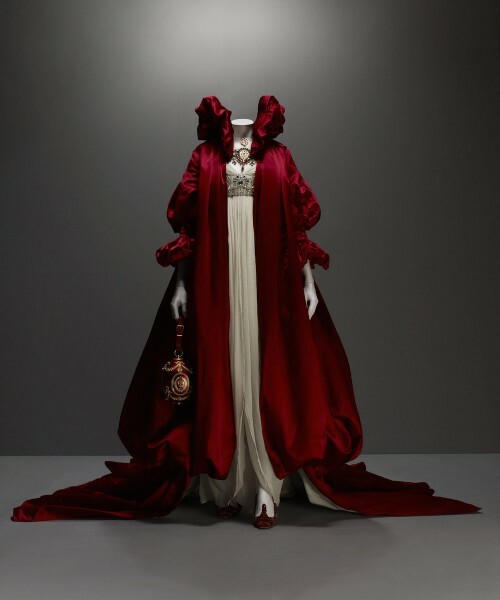 I went to see the McQueen show at the V&A — ‘Savage Beauty’, the same one that was previously at the Met — and it was terrific: enormously varied and inventive, with loads of striking and interesting stuff to look at. Being a bit sleep-deprived after staying up late to watch the election results come in (and what a depressing vigil that turned out to be), I did find it all a bit oppressive by the end; too much visual stimulus, loud music, dark rooms and spotlights. It’s the feeling I get when I’ve been in a supermarket for too long. Still, the frocks were great. 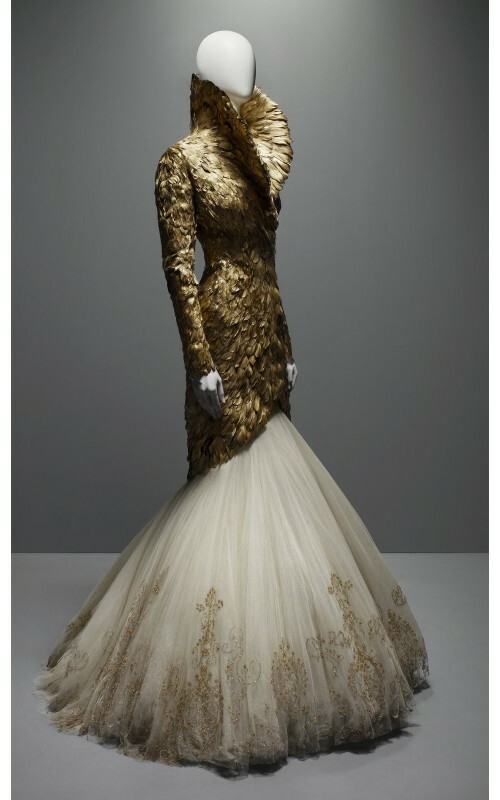 Like a lot of haute couture, much of it is spectacular but barely wearable, and it’s tempting to call it ‘theatrical’, although in fact theatre rarely has this kind of spectacular costume; and film perhaps even less so. It reminded me how terrific the Jean-Paul Gaultier costumes are in Fifth Element; it would be great if more films had that kind of extravagant visual aesthetic. Imagine a superhero movie with the costumes designed by Alexander McQueen, instead of the blandly, generically ‘cool’ versions that the studios manage to produce. Or one of the new Star Wars movies, or the Lord of the Rings; movies set in alien worlds where anything is possible, and with enough money to actually make these kind of incredibly labour-intensive costumes… wouldn’t it be great if they were just able to be a bit stranger, and more extravagantly individual? I was slightly uncomfortable with some of the tribal-influenced collections though; I’m generally a bit wary of claims of cultural appropriation, just because throughout history, culture has always been invigorated by the mixing together of influences from different traditions. I understand why people are uncomfortable with white European fashion designers using ‘exotic’ influences in their designs in a rather unthinking way, but I think it can be done in a way which is fairly innocent — although as a white European man perhaps I’m just showing my biases. However: taking a load of imagery from indigenous African and South American peoples, lumping it all together as ‘tribal’, combining it with animal imagery and throwing around a lot of rhetoric about primitivism and the noble savage… that is definitely the wrong way to do it. » Images all from the Met website for the exhibition and © Sølve Sundsbø / Art + Commerce.